It's been 20 years since Ol' Blue Eyes died but his mark on music was so firmly made that a concert billed as Frank Sinatra songs can pack out Birmingham's Symphony Hall on a chilly Sunday afternoon. While Sinatra didn't write the songs, they became indelibly linked with his voice – so much so that tracks like My Way and New York, New York are owned by him. This concert ensures plenty of crowd pleasers – Come Fly With Me, I've Got You Under My Skin, Fly Me To The Moon, Luck Be A Lady Tonight and Night And Day to name just a few. But with hundreds of tracks to his name, there will always be some people in the audience disappointed not to have heard their favourite Sinatra tune. Singer Matt Ford tells the audience at the beginning that he's not an impersonator, there's no attempt to copy the Sinatra voice or the look, he is simply singing lots of great tunes. And Ford is a crowd-pleaser himself, more than capable of carrying the songs, giving them his own touch with humour and a clear love of the music. Victoria Hamilton-Barritt shows that Sinatra's songs can be just as powerful or as moving when performed by a female voice. She gives a stunning performance of Cry Me A River, as well as singing Moon River and duetting with Ford on numbers including Somethin' Stupid and The Lady Is A Tramp. Ballroom dancers Christopher and Emma Burrell bring an additional touch of stardust to the show as they waltz and quickstep along to a number of the songs. Bearing in mind the tight space when sharing the Symphony Hall Stage with an orchestra and singers, they manage some elaborate and exciting routines. Conducted by Richard Balcombe, the London Concert Orchestra injects plenty of vitality into the music – ensuring toes are secretly tapping under a few seats. 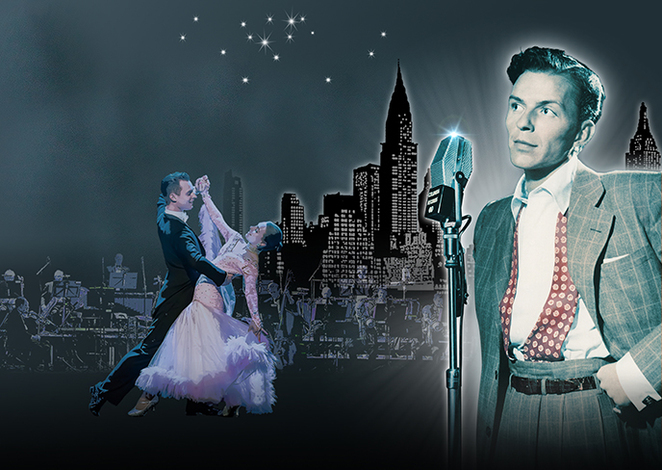 Presented by Raymond Gubbay, Simply Sinatra also tours to Liverpool, Glasgow, Northampton and Nottingham. In the meantime, there is a Raymond Gubbay Christmas extravaganza at Symphony Hall – including a return from Matt Ford for White Christmas on December 22. See thsh.co.uk for details.